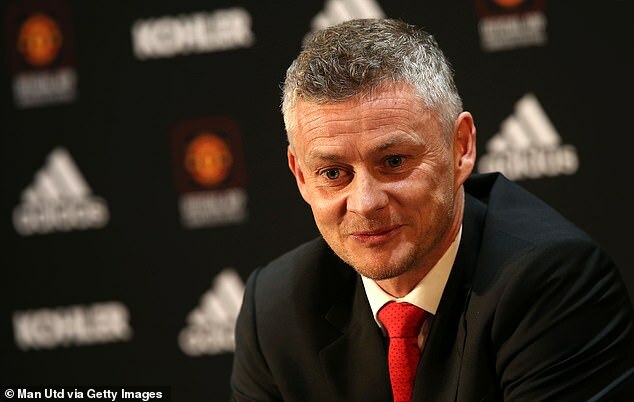 Ole Gunnar Solskjaer vowed to turn Manchester United into champions again after he was confirmed as the club’s manager at Old Trafford on Thursday. Solskjaer has been handed a three-year contract on a salary of £7million as a reward for transforming United’s fortunes since taking over as caretaker boss in December. The 46-year-old Norwegian is relishing his ‘dream job’ and immediately focused on delivering the club’s first title since Sir Alex Ferguson retired in 2013. ‘The Premier League title is vital for us,’ said Solskjaer. ‘To lift the trophy again is what we expect and what we are used to and it’s what we have done so many times. ‘If I can leave the club having won things — of course the Premier League — then I’ll be proud. ‘I’m a happy man and I’m a determined man. The day I walk out of here I hope to be a proud man. ‘We can’t wait for too many years but it’s not like it’s going to happen overnight. ‘I know we will be successful but it’s about taking it step by step. You think back to what it feels like to be a winner and a champion and I can’t wait for these players to get that feeling. United have made two goodwill payments to Molde of about £500k — Solskjaer’s salary at the Norwegian club — to tear up his three-year contract and bring him back to Old Trafford. A future partnership between the clubs is possible and a friendly between them may also take place to maintain the amicable relationship after Solskjaer was granted his wish to leave. 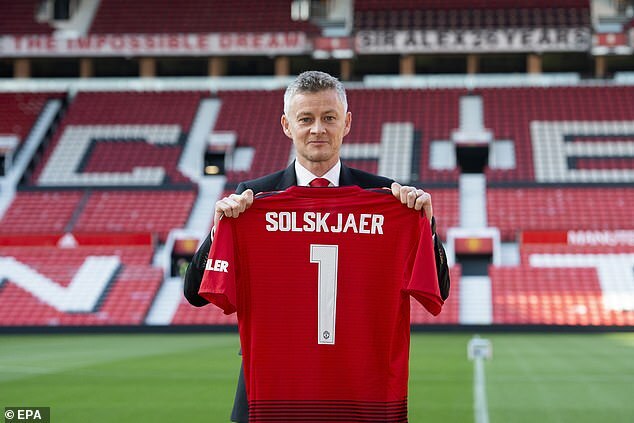 ‘When people get a new job and say it’s a dream job, that’s more true to me than anyone,’ Solskjaer added. ‘This has been my ultimate dream. Maybe a naive dream, but I’ve always had that dream to have this responsibility for this huge, fantastic, family club. I’m honoured and privileged to lead us forward. ‘All I can promise is I will always be myself. I am not going to change. I just want to be the best Ole. I will be an optimist and positive guy and we will do this together. Solskjaer confirmed that his No 2 Mike Phelan is set to stay, although Ferguson’s former assistant has to negotiate his departure from Central Coast Mariners.